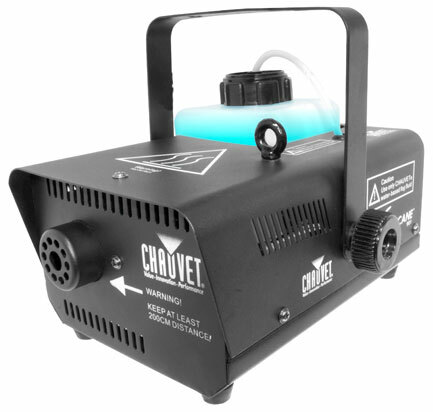 With a fog output of 4,000 cfm and a quick heat up time of 1.5 min, this lightweight and compact Chauvet DJ Hurricane 901 fog machine creates a smoky atmosphere to enhance any light show. An LED-illuminated tank allows the fluid level to be seen from a distance, while its water-based contents won t leave any residue. Conveniently operate Hurricane 901 from a distance with the included wired remote.